Updated: January 16, 2018 I’ve made a commitment to only provide you with product reviews that add genuine value to your life. And, that’s exactly what you’re going to get here, in this review of the best natural ADHD supplement that I’ve found (vitamin D for ADHD). “No idea,” I told him. I truly didn’t know. It had been so long since I’d had my blood taken. Probably 5+ years, at the very least. I told my doctor that I take a good multivitamin, fish oil, turmeric, saffron, milk thistle, and a few other vitamins (whenever I can remember to take ’em). So naturally, I assumed all was going to be well with my blood work. I thought that I was totally in the clear. But, after my blood work was finished being analyzed at the lab, the results shocked me (though it should have been obvious to me). It turns out that I was seriously deficient in vitamin D (Amazon) at the time. Shocker: A stay-at-home writer doesn’t get enough natural sunlight. My testosterone level is a little bit low too (still working on that). But, I wasn’t on the high end of the range, unfortunately. 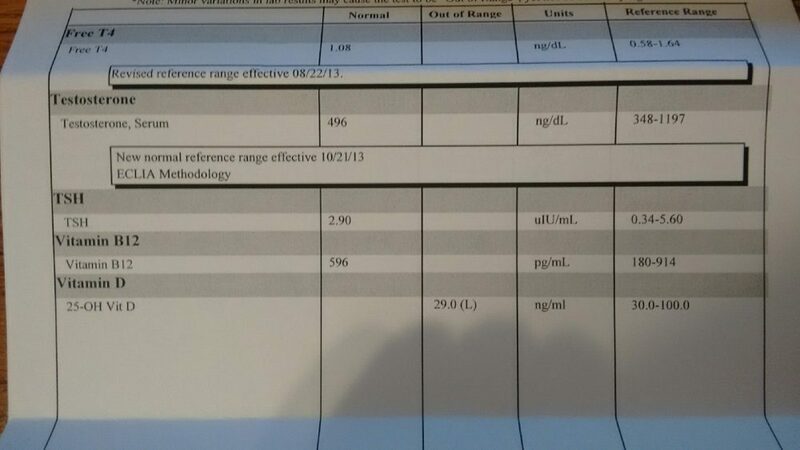 I was at 29 ng/ml of vitamin D, while the “normal” range is anywhere from 30 to 100 ng/ml. It’s safe to say that I was severely low in vitamin D.
It’s no wonder I was experiencing so much trouble concentrating for so many years. I mean, obviously there are many factors at play when it comes to dealing with symptoms related to ADHD. But, it wasn’t until my doctor practically forced me to start taking a good vitamin D supplement that I realized what an unbelievably important role vitamin D plays in your body. I’m a decently healthy person. But, I definitely knew that I was experiencing cognitive difficulties at the time of having a vitamin D deficiency. And now, I can say that without a doubt that my vitamin D deficiency played a major role in messing with my everyday thought processes. Because, almost as soon as my doctor recommended that I begin supplementing with 1000 IUs of Rainbow Light Vitamin D3 Sunny Gummies (Amazon) – that was when I began to feel an amazing difference in my life. (It was technically about 2 weeks later that I started to experience positive results – which is still a fast, noticeable improvement). Yes, after just a couple weeks of taking vitamin D, I was already beginning to feel like a new person. While I can’t promise that everyone will feel as good as I did once I started taking vitamin D for ADHD – I’m almost positive that you’ll feel a significant improvement in your life (after taking vitamin D for your ADHD symptoms). 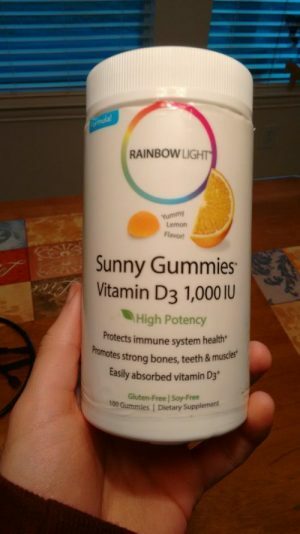 After plowing through my first bottle of 1000 IUs of Rainbow Light Vitamin D3 Sunny Gummies (Amazon) in just over 1.5 months (at a rate of taking two gummies per day) – I decided that I needed a more efficient system for taking vitamin D.
“There has to be a better system out there for this,” I thought. I mean, I loved the convenience of taking a gummy vitamin D supplement. And, I also loved the Rainbow Light brand, which consistently gets amazing reviews from independent vitamin testing agencies. 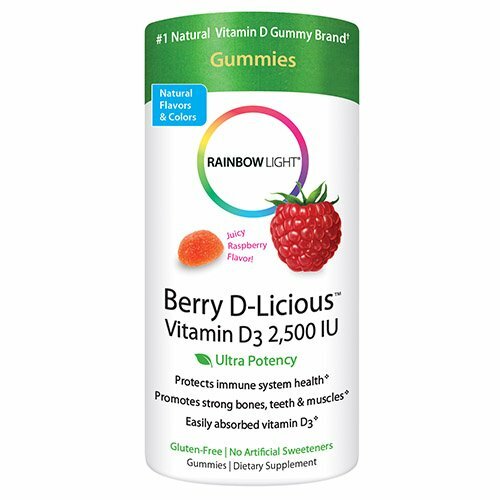 Rainbow Light’s Berry D-Licious Vitamin D3 (Amazon) contains even more vitamin D benefits in a single serving when compared to Rainbow Light Sunny Gummies. 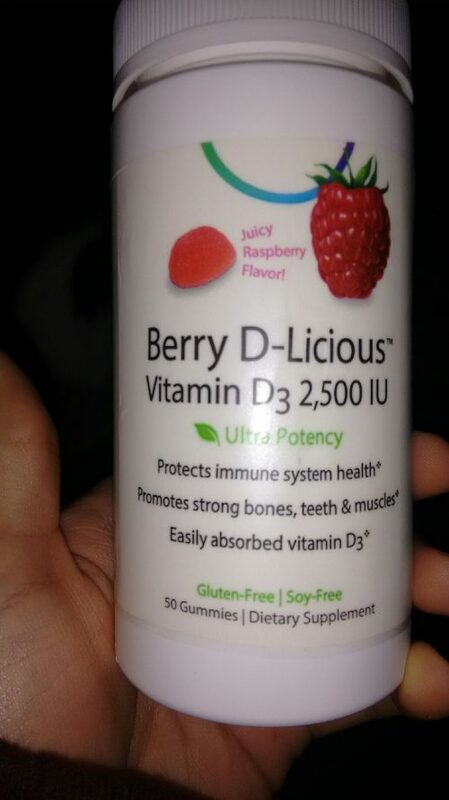 The Berry-D-Licious vitamin D supplement contains 2500 IUs of Vitamin D3 per gummy. 2500 IUs of vitamin D3 is probably the perfect amount of vitamin D for most healthy adults to take each day (children usually need to take less than this). These gummies also taste great, and still have the trusted Rainbow Light name associated with the product. So, ever since beginning a regular vitamin D regimen – I’ve basically committed to taking my new vitamin D supplements just about every single day (except for the rare day or two out of the week). By taking a high-quality form of vitamin D like that of Rainbow Light, you will most likely begin to experience the same vitamin D benefits that I’ve felt in my life. I can’t recommend a good vitamin D3 supplement enough. In my experience, vitamin D has been the best natural supplement for ADHD that I’ve used to this day. And, I’m positive that you’re going to experience similar results as me. Overall, if you’re trying to treat the symptoms of your ADHD, and you feel like you still aren’t at a peak mental state – there’s a decent chance that you’re very low in vitamin D.
To be sure, you might want to check with your doctor and have your blood levels checked – just in case it’s been a while since you’ve had your lab work done. I always recommend that you check with a doctor before making big changes to your nutrition. However, at the same time, it’s a well-known fact that many people are deficient in vitamin D.
So, I feel confident in saying that if you work inside of an office, or if your child stays inside of a school building for most of the day, then you can almost certainly benefit from picking up a bottle of Rainbow Light Vitamin D3 Sunny Gummies 1000 IU (Amazon) or Rainbow Light’s Berry D-Licious Vitamin D3 2500 IU (Amazon) today. Depending on your preference, either bottle should work great for you and your family. Taking vitamin D can help you tremendously. I highly recommend vitamin D to anyone who’s looking for an edge over their ADHD symptoms – or even just an easy way to feel mentally balanced again.